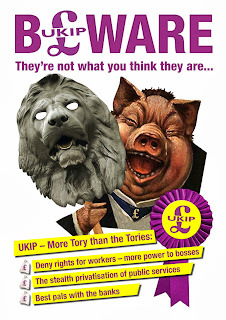 Junius on UKIP: > More Hypocrisy From The UKIP Fuhrer. > More Hypocrisy From The UKIP Fuhrer. 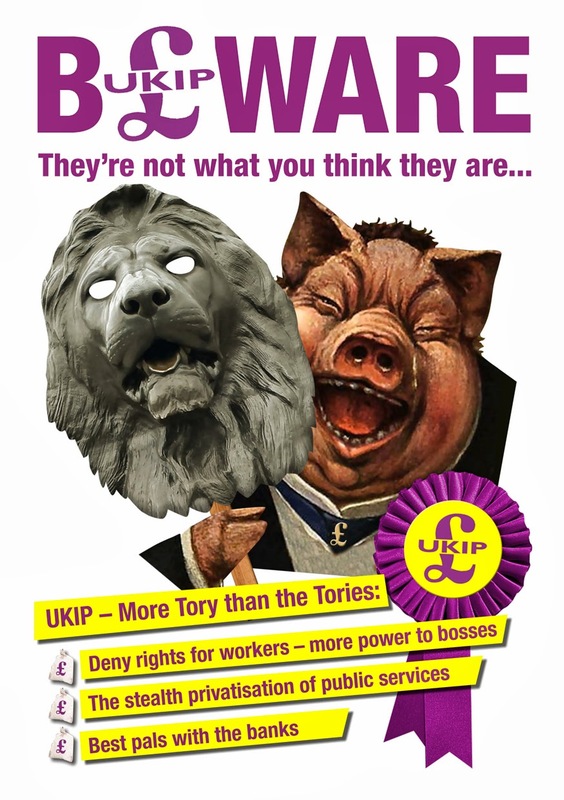 The following is taken directly from UKIP's 2010 manifesto. It appears in the transport section. "Invest in three new 200mph plus high-speed rail lines including a new line between London and Newcastle with a spur to Manchester, a London-Bristol-Exeter line and a linking route via Birmingham." Note please the words new, high-speed, and link. So that would be HS2, then. But now, of course, that others have taken the lead and roused opposition, it becomes prudent for the little man in the silly suit to pretend that he was against it all along. In fact, he has even claimed that UKIP is the only party to have opposed HS2. Calling for it in a recent manifesto is a funny way to oppose it! Or perhaps they thought that nobody would notice! UKIP in Lincs breakdown but "Outside our immediate Lincolnshire community nobody is even aware of the dispute." I think it was only their turn coat Peer and at the tyime Party leader Malcolm Lord pearson, who has clearly not read the manifesto. In fact he didn't6 even know his party's aim was to oppose the Tories against whom he urged a number of UKIP candidates to stand down! That also was not in the manifesto - though I see it is now mooted by7 Nigel Farage clearly his sad puppet Tim Acker has no say as Policy Director just as Will Gilpin was sabotaged by bad leadership and bad practice! > UKIP & Le Pen: The links & what they mean. > Steve Crowther Should 'Count the Paperclips'!